What makes VIP's Reiki Program different from others? When I was pulled to teach Reiki honestly I never thought that it could or would grow into a loving, intentional and supportive community the way that it has. I am certainly a very intentional person by nature so I make sure to try my best to cover all the bases, think about how I can continually make things better, more accessible, more fun and easier to learn. And next thing I know, my guides are calling it the "VIP Reiki Program!" 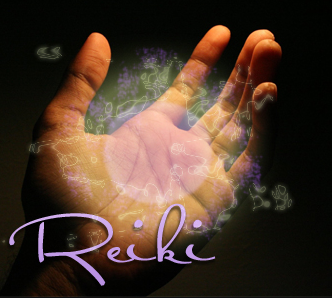 We start out by offering a Free Intro to Reiki Course that covers the FAQs of Reiki. Then we offer the Reiki Master Course (which includes: Levels I, II & III/Master). This is conducted either in-person (over a week or weekend, or online). And since we separate the learning Reiki from learning how to teach it, finally we offer Reiki Master Teacher course. This way you can really focus on how you want to teach Reiki to others. Most Reiki courses, you connect with a teacher and if you're lucky, you connect with your classmates as well, but in VIP's Reiki Program you join our VIP Reiki Community. This is our Facebook Group where we support each other, have weekly reminders and check-ins, sharing of tips and tools for #EverydayReiki, review times and access to TWO Certified Reiki Master Teachers (MateoLuis and myself, who are moderators of the group). Whether someone took a course from us five years ago or just completed it five hours ago, we are all together in our VIP Reiki Community! This is definitely one of my favorite offerings to our Reiki students. Gone are the days of not being able to recognize your Reiki teacher. Yes, that's right. As long as we're around doing this work, you will have access to our VIP Reiki Course work in our Online Course area! This means you can come back to it again and again whenever you need! AND you will continually get updated information as we update our videos and content! I mean come on! If they're online, they're self paced and you never see the teacher. Or if they're in-person there isn't an online component. Monthly Healing Exchanges, requests in the group and more! Your practice goes beyond the time of the course and continues to be able to be used and practiced in a safe and supportive environment - people who already know what Reiki is! This isn't just your wham, bam thank you, Reiki weekend. Meaning that we separate our courses into Spoken English and American Sign Language (ASL). There is no interpretation provided because we can offer direct communication and learning new concepts is much smoother and clearer when using direct communication. We rely heavily on word of mouth or hand of sign marketing, meaning when you share about your experience with VIP's Reiki Course, we always want to thank you for that with $25 per person you refer! That's not a credit, that's straight up cash or PayPal goodness for you to spend anywhere your heart desires! I honestly haven't seen any other Reiki courses offer this. Just in case you do decide that at some point you want to pursue Reiki in a professional capacity, we've got you covered! It even comes in a certificate folder! No, print it out yourself certificates here. Yours gets mailed to you the old fashioned way, no matter where you are in the world! Just pick out your favorite frame and it's ready to hang! From the very beginning we have gifted all of our Reiki students with gifts! I have to admit this is one of my absolutely favorite traditions of VIP. There are two gifts that have stayed the same for each student and one that has changed over the years. And some of our students still share with me years later that they still use their gifts or carry them with them daily! How fun is that?! Unless you sign up for a late registration for our Online Reiki Course, which doesn't include books (and is reflected in the tuition price), you always receive books and class materials with your tuition costs! There are some Reiki courses that don't include class materials or charge separately for them. That's right! Not one, but two of us here for you! You get a taste of our different 'flavors' of teaching, how we do Reiki and more! It's always great to have more than one perspective and more shared experiences, right? Most other offerings are with only one teacher. Our Reiki classes are kept intimate so that we can have a lovely balance of being able to connect with others and still provide the support necessary on your journey. It's a very intimate and expansive process when learning Reiki and it's one that we don't take lightly. I've seen classes of 30-35 students! We love giving! And you benefit from that! So whether it's from Q&A's, to tips and tricks or sharing inspiring things, you can bet that we will continually be offering goodies because we just love Reiki! Another example is now that we are offering our Reiki courses online, we have gifted all of our previous in-person students with access to all of the online courses as well! That was something that we weren't predicting would happen, but it did! Fun, right?! If you have any questions, feel free to contact us at support@vipholisticservices.com or leave a comment below and we're happy to answer any questions you may have about our VIP Reiki Program offerings. Looking forward to your Reiki journey, VIP!